stuffed mirchi bajji recipe | stuffed menasinakai bajji | milagai bajji recipe with detailed photo and video recipe. basically a spicy snack prepared with green chilli and stuffed with potato and onion stuffing. 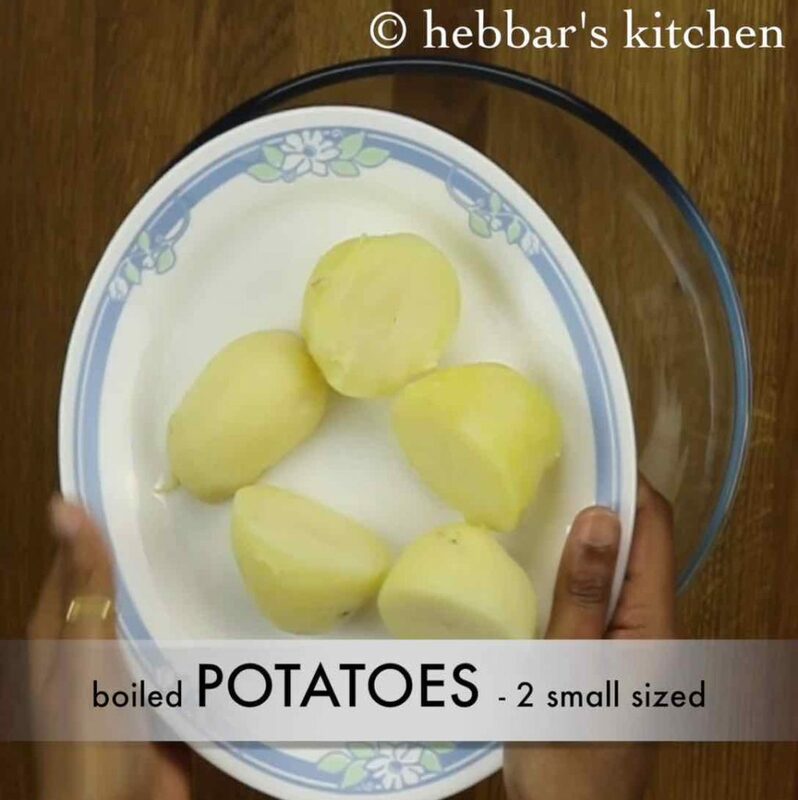 it is typically served as snack with masala chai especially during winter. i have already shared the plain bajji recipe from green chillies which is without any stuffing. however, i was getting several request to prepare the stuffed mirchi. typically, the stuffing is prepared only with mashed potatoes, however i have extended by adding finely chopped onions. onions give the crunchiness to the stuffing and for stuffed mirchi bajji. however, it is completely optional and can be skipped if you do not prefer to. 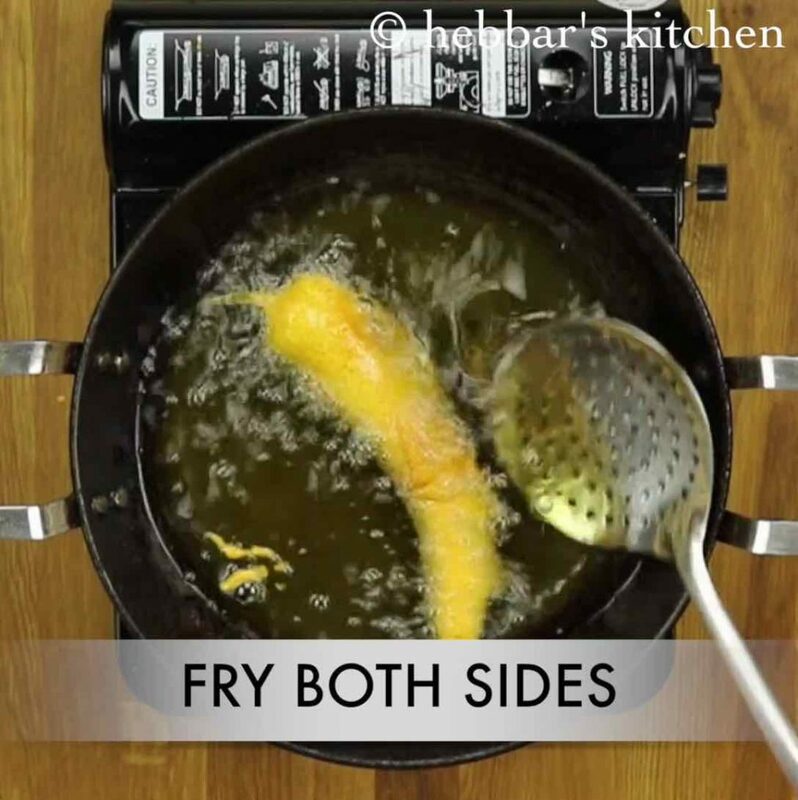 also, add a pinch of baking soda to the besan batter to make the bajji more fluffy and crisp. my first experience with stuffed mirchi bajji was during my annual trip to yeracaud in tamilnadu. my husband bought me these and i took it amusing it to be plain mirchi bajji. but i was really surprised to learn the stuffing inside the bajji. 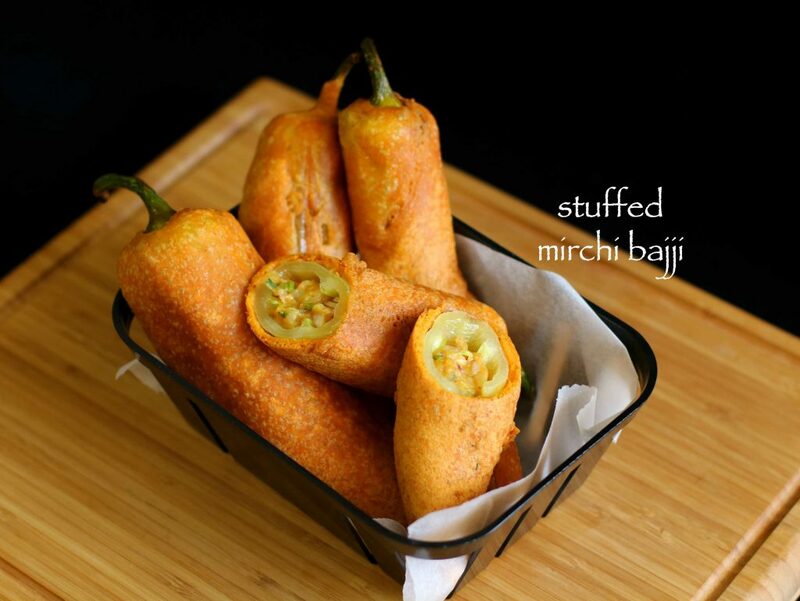 i was always under the impression that mirchi bajji’s were plain without any stuffing. the weather was cool and these stuffed spicy bajjis made my trip memorable. perhaps, deep fried or bajji recipes are quite popular in any hill station. it is typically sold as street food with extra tomato ketchup or tamarind chutney. 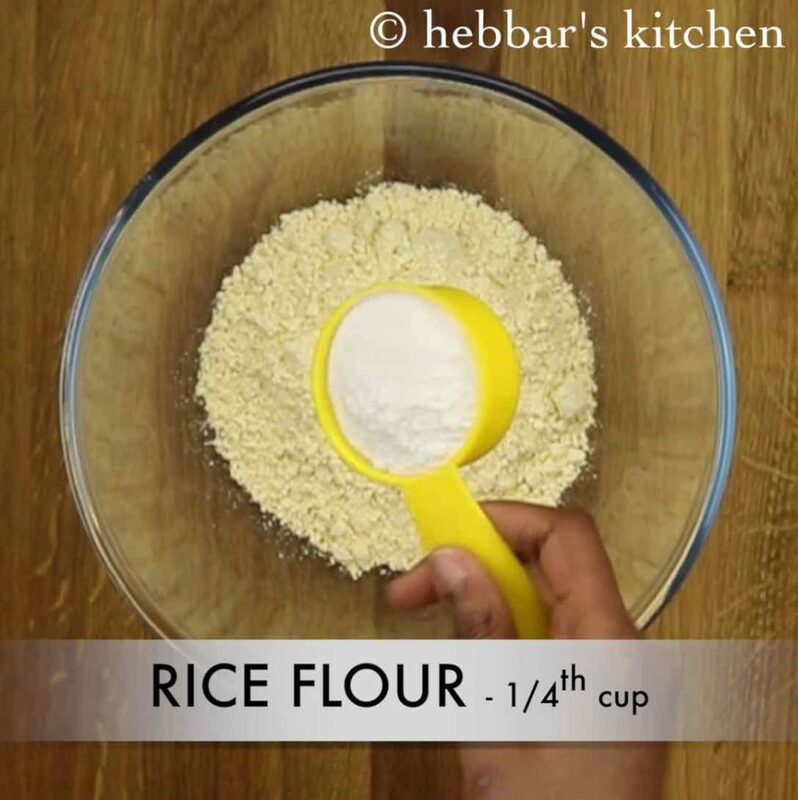 firstly, take besan, rice flour, chili powder, haldi, hing and salt. mix well. furthermore, add water and make a smooth batter. also add a pinch of baking soda and mix gently. firstly take mashed potatoes, green chili, ginger, coriander leaves and onion. also add haldi, red chili powder, jeera, aamchur, salt and hing. firstly, slit green chili at the centre and remove seeds. also stuff the potato stuffing into the chili. 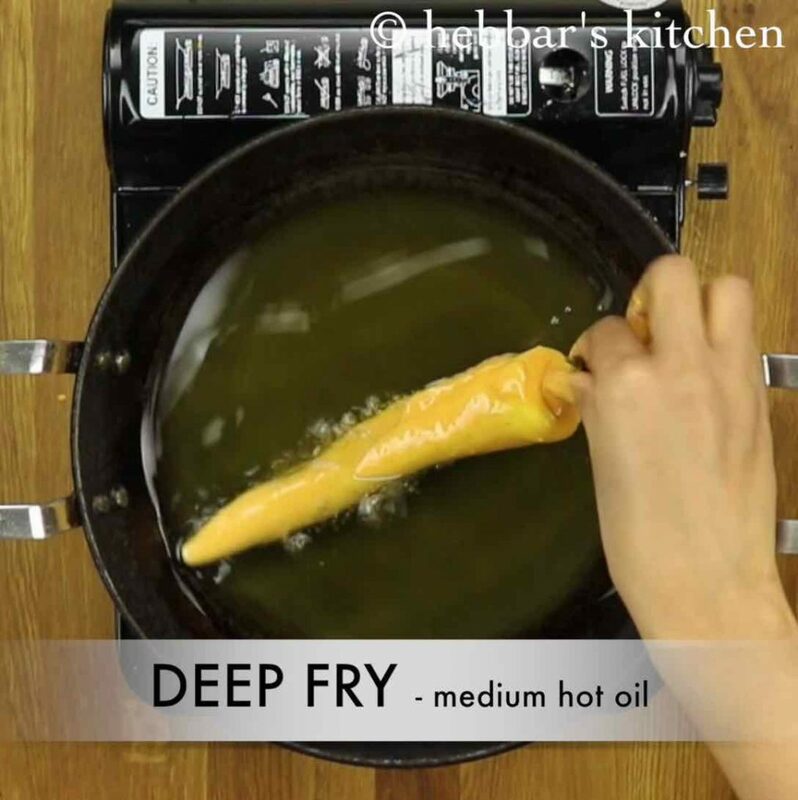 dip the stuffed chili into besan batter, coat and deep fry to golden brown. finally, serve stuffed potato mirchi bajji / mirapakaya bajji. 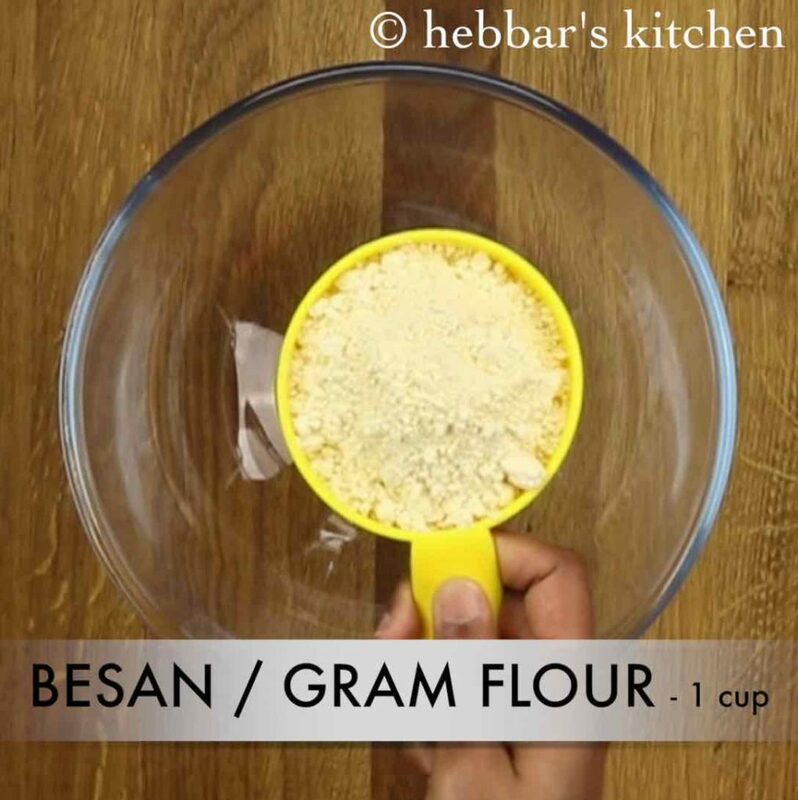 firstly, in a small mixing bowl take besan / gram flour. further add rice flour. 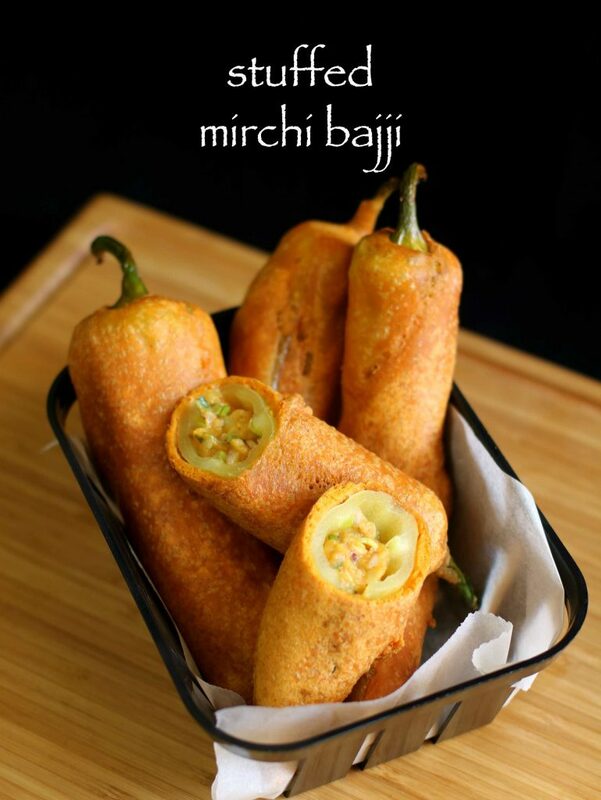 rice flour helps to make mirchi bajji more crispy and tasty. also add chili powder, turmeric, hing and salt. mix well. 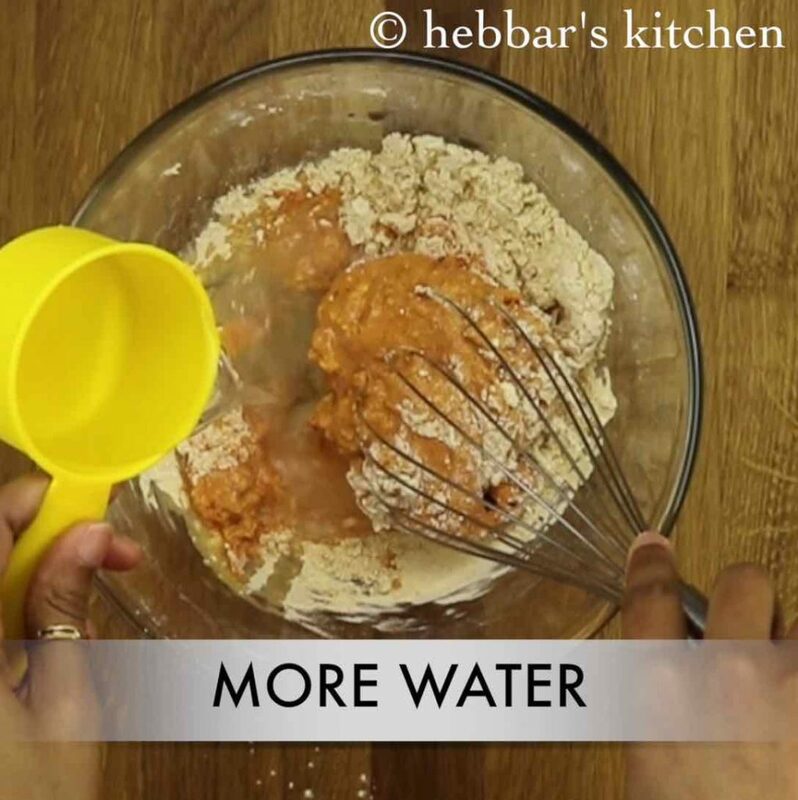 furthermore, add water little by little and whisk well. 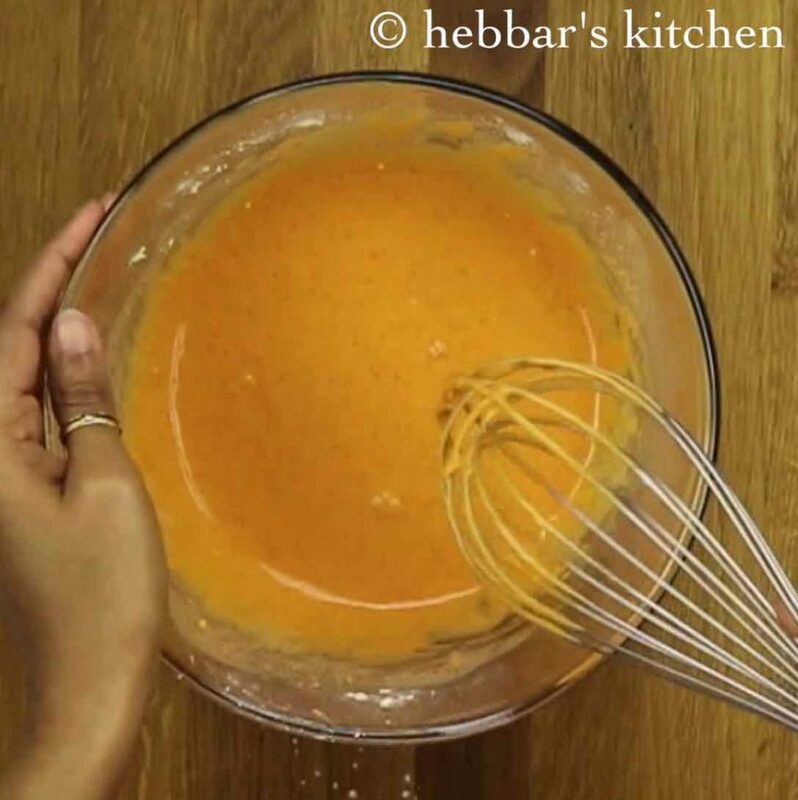 make a smooth batter without forming any lumps. 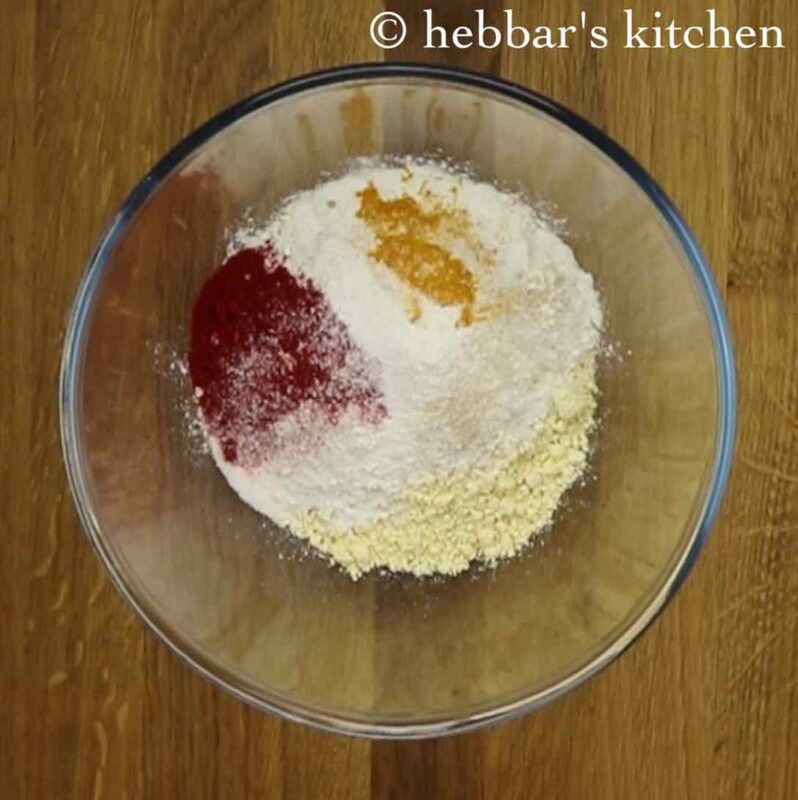 also add a pinch of baking soda and mix gently. 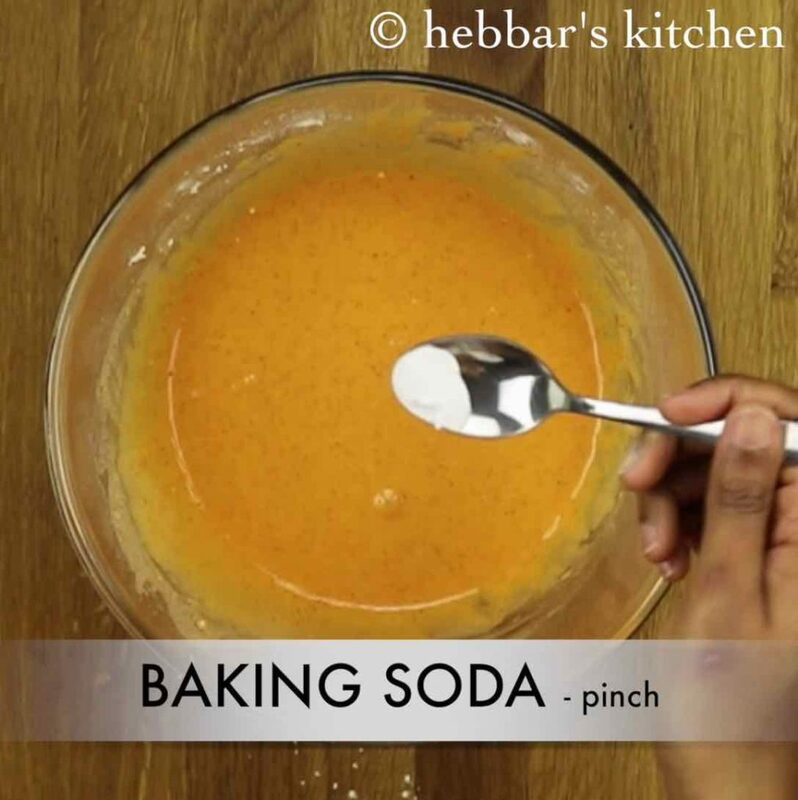 do not over mix as baking soda will loose its property. 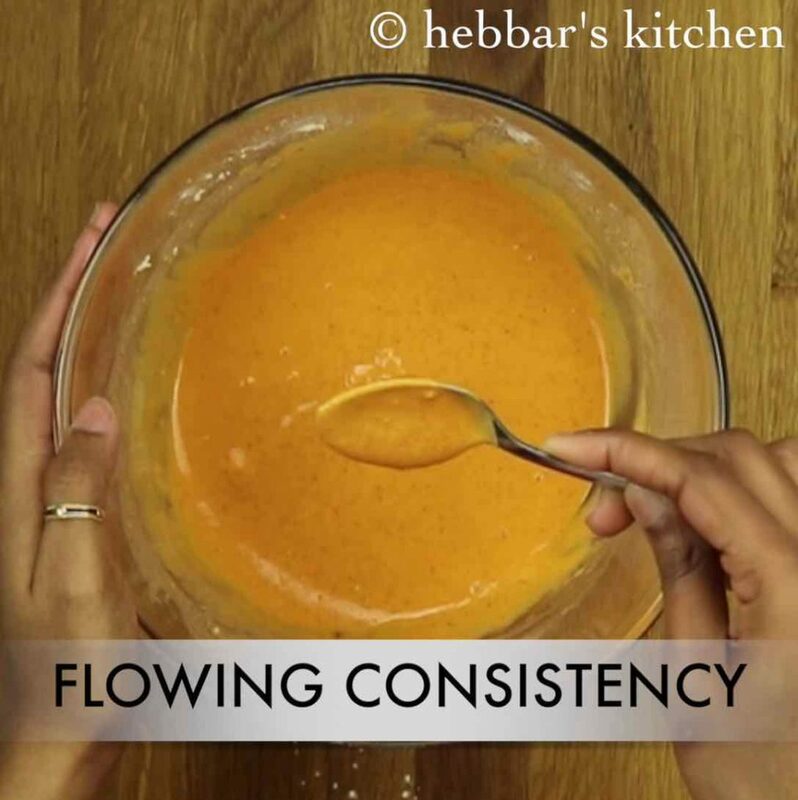 make sure the batter is flowing consistency. firstly in a large mixing bowl mash boiled potatoes. 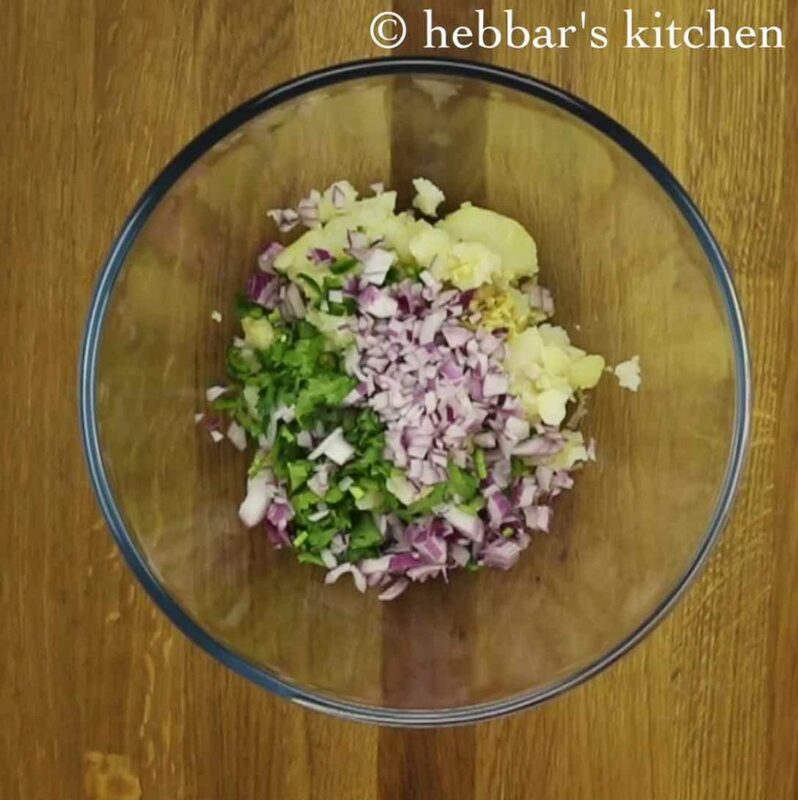 further, add green chili, ginger, coriander leaves and onion. also add turmeric powder, red chili powder, jeera, aamchur, salt and hing. furthermore, mix well making sure the spices gets mixed well uniformly. 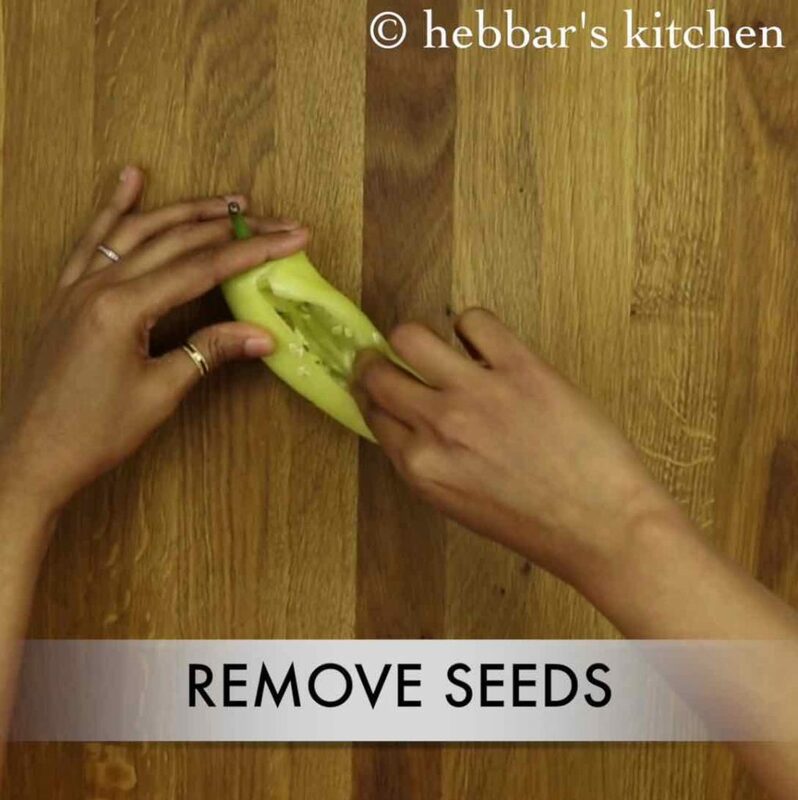 remove the seeds from the centre without breaking the chili. removing seeds helps to reduce the spiciness of the mirchi bajji and also gives more space to stuff. also stuff the potato stuffing into the chili. 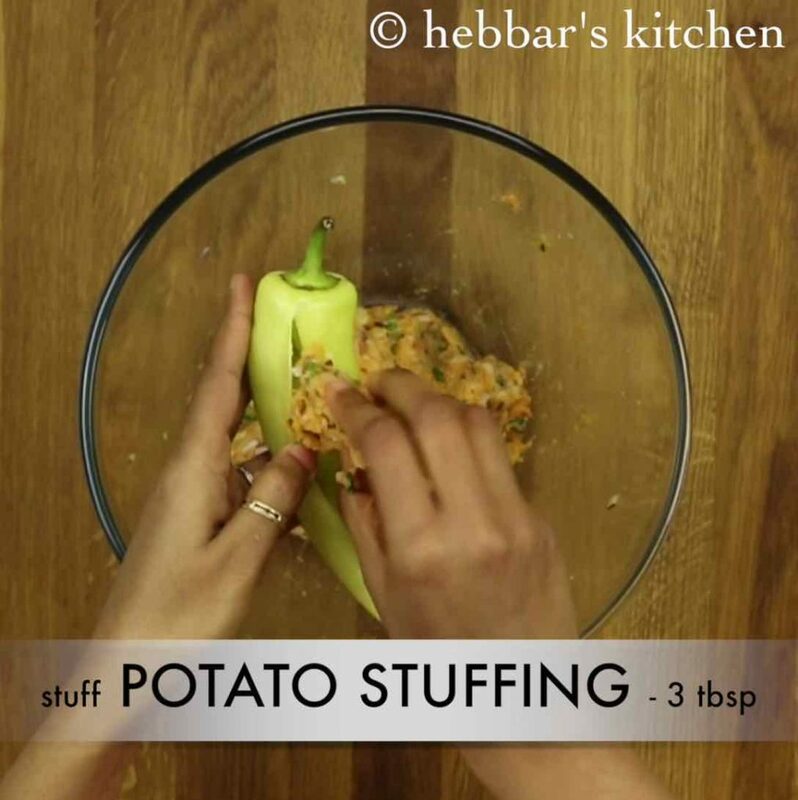 make sure to stuff as much as potato stuffing as possible. 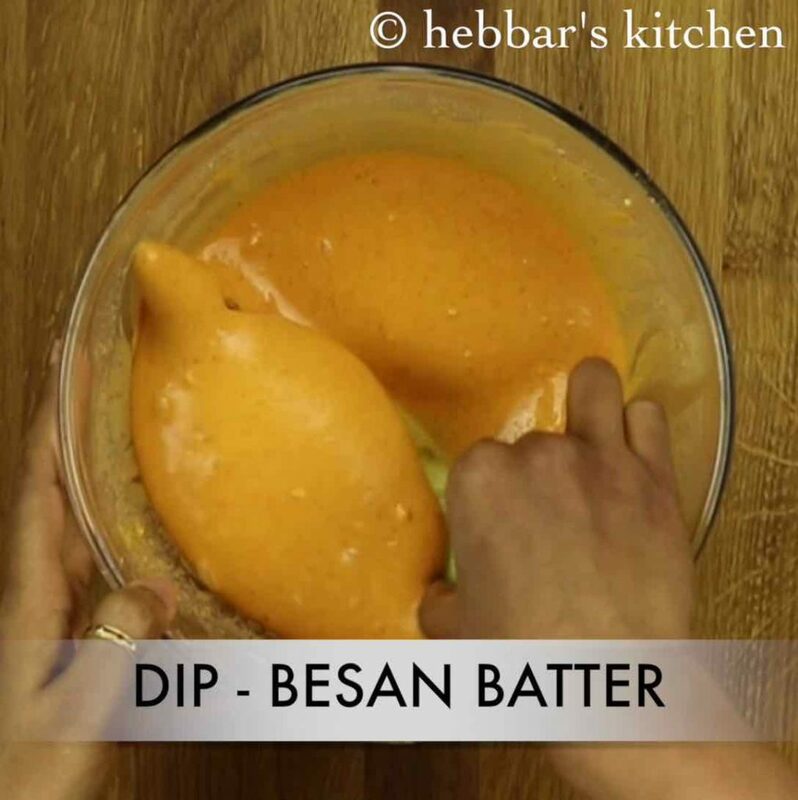 and dip the stuffed chili into prepared besan batter and coat it completely. furthermore, deep fry on medium hot oil. 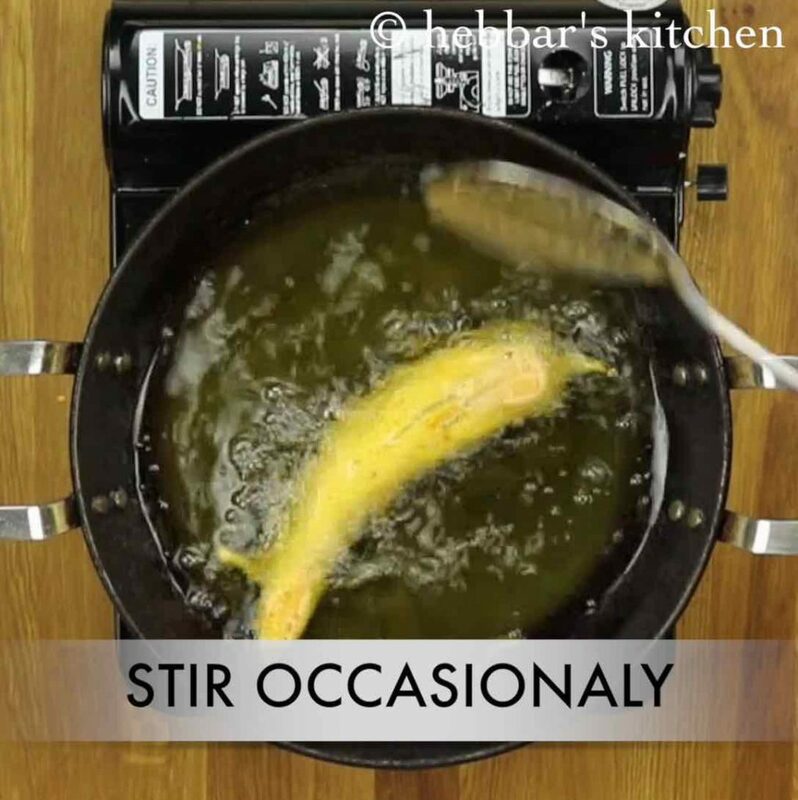 also stir occasionally and fry on both sides. further, fry the mirchi till they turn golden brown. 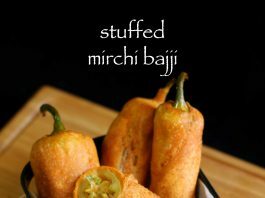 finally, stuffed potato mirchi bajji / mirapakaya bajji is ready to serve as it is or with pav. firstly, make sure to take long and less spicy mirchi for greater taste and less spiciness. 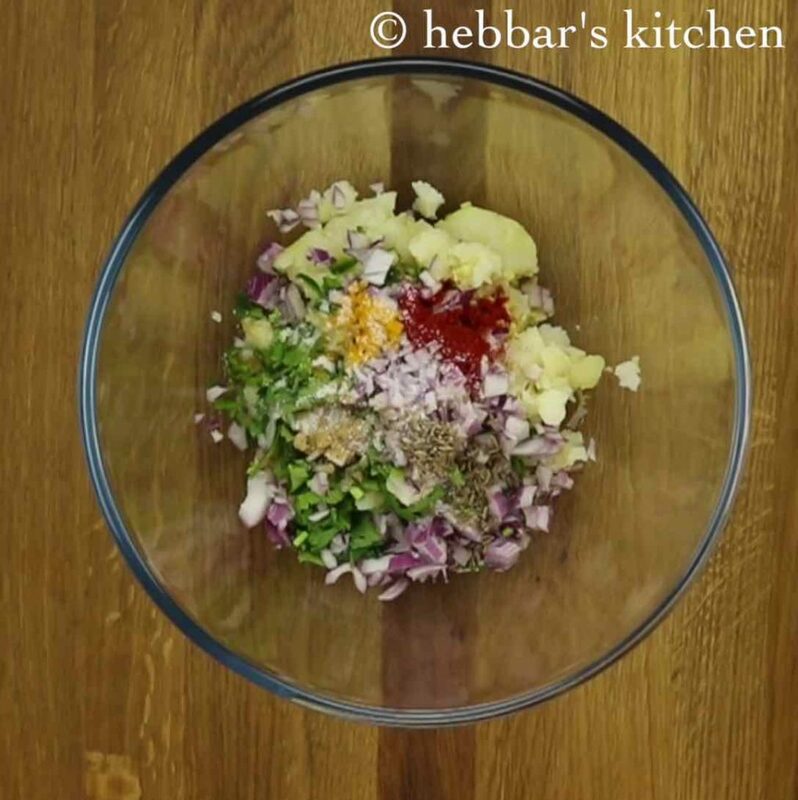 furthermore, vary the stuffing spices according to your preference. 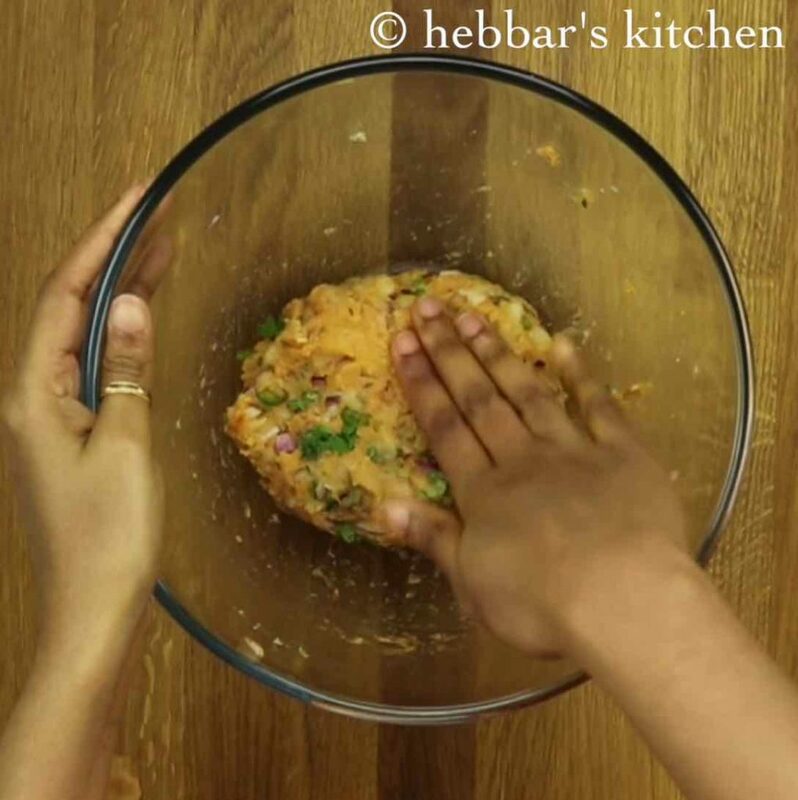 also add grated cheese into stuffing to prepare cheesy stuffed mirchi bajji. finally, stuffed potato mirchi bajji / mirapakaya bajji taste great when served hot. Loved this recipe. Mirchi bhajji turned out amazing. Tried exactly the same!!! Awesome hit! !